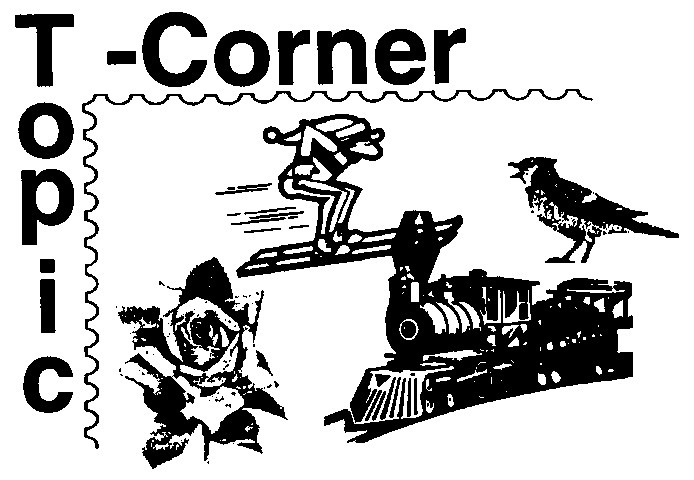 This page includes The Topic-Corner columns from the 1999 issues of Across the Fence Post. As I sit writing this column, it is a mild November day. Although December is just around the corner, the weathermen ar e still predicting a mild week ahead. And while Christmas is still a few weeks away, "I'm dreaming of a white Christmas." By the time you are reading this, we could all be very sick and tired of snow. But in the meantime, I turned to my U.S. album to see how snow is portrayed on the stamps of our country. 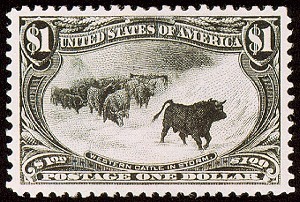 The first U.S. stamp to depict snow is the 1898 Trans-Mississippi issue's Western Cattle in Storm. 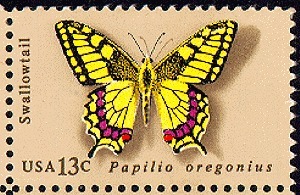 The reprint of this stamp in June 1998 gives collectors an opportunity to own it at face value. Last year also saw another stamp depicting snow - this time commemorating the Klondike gold rush. One would think that snow would be very evident on Christmas stamps and stamps picturing Winter Olympics sporting events. This is not necessarily so! You only have to look at Scott Nos. 1461 and 1696 from the 1972 and 1976 Winter Olympics sets to discover that events such as bobsledding and. skiing were depicted without snow. 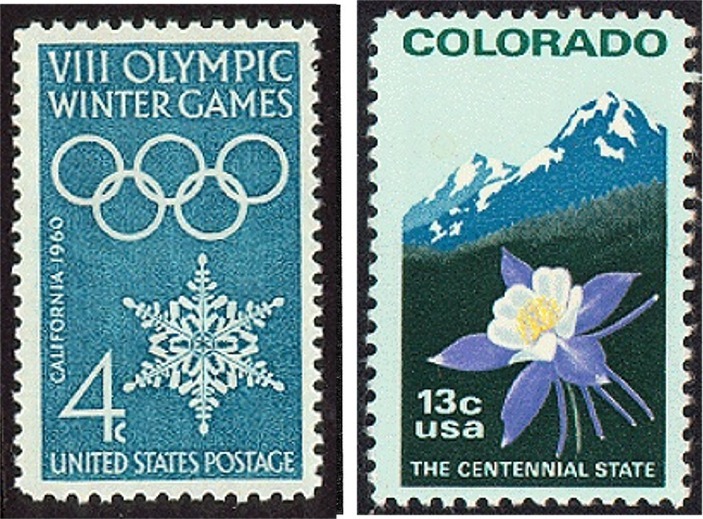 The events shown on the 1980 Winter Olympic stamps (Scott Nos. 1795-98) depict a white surface, but it is not evident whether the surface is snow or ice. The 1992 Winter Olympics events are depicted on a blue surface. And the list goes on! 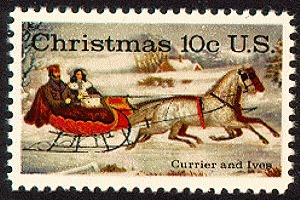 Most of our Christmas stamps do not contain snow. Although you might not expect snow on our religious issues, one would expect more evidence of snow on our secular issues. Our first Christmas stamp (Scott 1205) illustrates a wreath. 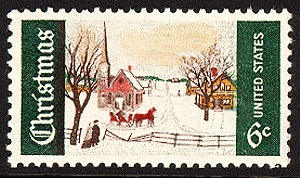 Some of our other Christmas stamps depict toys or plants, but no snow. 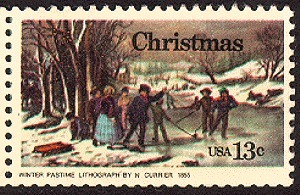 You can, however, find snow on the 1963 Christmas stamp showing the Christmas tree at the White House. Remember the 6C Winter Sunday in Maine, the IOC Currier and Ives, and the 1982 Christmas issue showing children enjoying games in the snow? 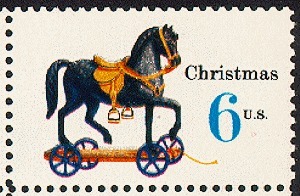 Check your Christmas stamps, you may be surprised to find out which ones do or do not show snow. Where can you find snow on U.S. stamps? 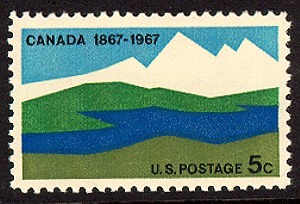 Check some of the statehood stamps where snow can be found on distant mountain peaks. The 1987 American Wildlife set depicts animals in their natural environment and some of those include snow scenes. One mustn't forget the stamps showing Arctic and Antarctic explorations. All in all, I found over 75 U.S. stamps that depict snow. Only a few are shown here. 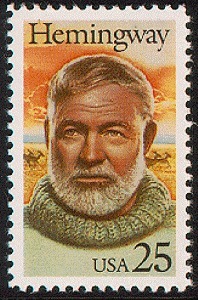 A new set of stamps issued by the U.S. Postal Service is making its debut this month. The Arctic Anima ls pane features five animals that have adapted to the extreme cold of the polar region. The stamps will feature close-ups of the snowy owl, polar bear, gray wolf, arctic hare, and arctic fox. 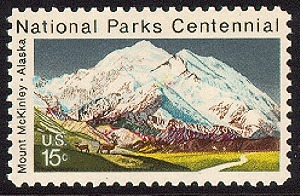 These stamps will have their first-day of issue at the "top of the world" in Barrows, AK, on March 12, 1999. Any one of those animals would make an interesting mini-topical collection and could be expanded into a one-frame exhibit. Let's "go wild" with polar bears and explore their interesting world through stamps. The polar bear is a mammal having white or pale yellow-white fur. It grows to a length of about seven feet and a height of about three feet. Fully-grown bears can weigh over 1,000 pounds. Eurasia. Its partially webbed feet help it swim at a speed of about three miles per hour. Hairs on the soles of its feet make it possible to walk across the ice without slipping. Its heavy fur is waterproof and warm, while underneath its skin lays a layer of insulating fat. 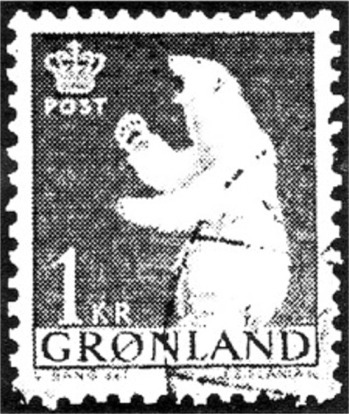 Although many countries have issued stamp s depicting polar bears. I have chosen to feature only stamps from countries that are the polar bear's natural habitat. 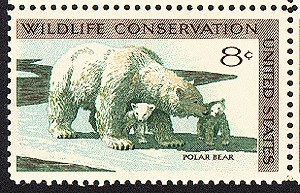 The first U.S. stamp to show a polar bear was part of the se-tenant 1971 Wildlife Conservation set. It also depicts a pair of bear cubs. Babies are commonly born as twins during the winter and live in a hole or den created in a snow bank. Canada has issued several stamps depicting polar bears including one in 1953 for its National Wildlife Week, and a 25-cents definitive issued in the 1970s. Greenland has issued a number of polar bear stamps including its first definitive set, and a common design on a parcel post stamps. A standing polar bear is shown on Greenland definitive set from the 1960s. 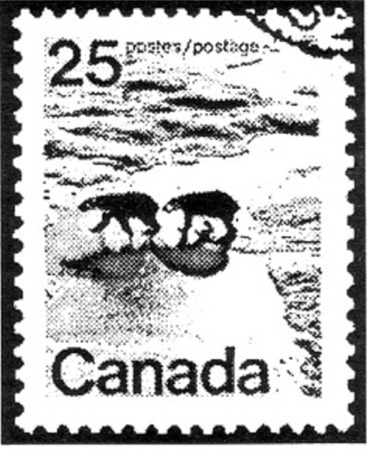 stamps depict a polar bear standing on an ice floe with an airplane overhead. Searching for commemorative cancellations? 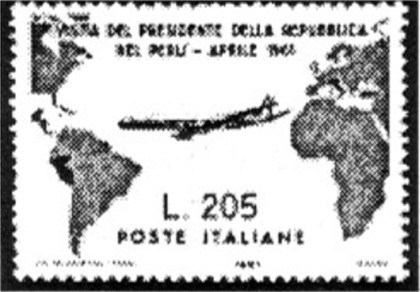 In 1977, MILCOPEX hosted the convention of the American Society of Polar Philatelists. 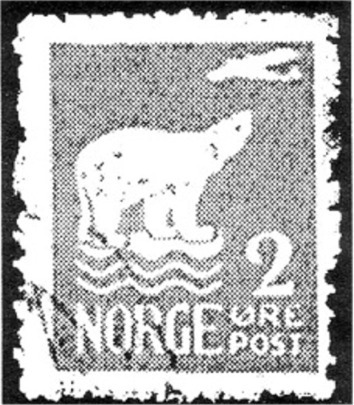 The postmark featured two penguins and t polar bear. To complement the topical focus of this issue, the following individuals responded to a request to briefly tell us about their collections. Early in the 1980s I began to realize that it would be quite expensive to continue adding to my United States, United Nations, and Canadian stamp collections. That's when I decided to go topical. The choice of topical was easy for me. As an English teacher in one of Wisconsin's technical colleges, I no longer had a chance to teach literature courses (they weren't offered). So I decided to maintain my interest in literature by collecting stamps that commemorated literary authors and their works. I soon learned that a study unit of the American Topical Association was devoted to exploring that topic: Journalists, Authors, and Poets On Stamps (JAPOS). Today I'm president of that study group. Collecting JAPOS material allows one to attain a "complete" collection. For example, I have every stamp issued to honor Charles Dickens (over 75 different stamps). Today, in retirement, I enjoy researching and writing articles about my authors collection and seeing them published in various philatelic periodicals, including ATA's Topical Times. JAPOS welcomes anyone interested in this topic to apply for membership. 1999 dues are only $6. Write to: Louis Foster, 7561 E. 24th Ct., Wichita, KS 67226 to join. Sixty years ago, when it cost 2-cents to mail a letter and we had morning and afternoon mail delivery, I fell in love with stamps. Besides getting stamps in the mail, I would spend my allowance at one of the dime stores, which sold 10-cents packets of stamps from all over the world. Also, I soon answered an ad in The American Boy magazine and received approvals from the Tatham Stamp Co. I would tape my coins to the return and eagerly await more stamps. At the same time that I discovered stamps, I discovered maps! Today I cannot pass up a map stamp without buying it, even though so many countries have changed their names. As the years passed, I have added art and music topics to my collection. . I collect topical stamps because they relate to things around me in nature and events in the news. My first topical specialty was astronomy on stamps. I had studied astronomy on my own time for many years. One day after visiting Lick Observatory, in California, I came upon a stamp shop somewhere in downtown Berkeley. I went into the shop, probably to reminisce about my childhood collection of U.S. plate blocks, or whatever little boys collect. In that shop, was a beautiful blue and red stamp with an astronomy theme. I don't remember another thing about that stamp; it might have been one of the current USSR space issues with all the glitz of cosmonauts and such. 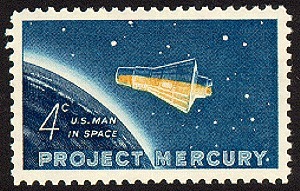 Because of that stamp, though, I pursued a collection of astronomy on stamps and later to an additional space collection. Astronomy was what I saw at night through my binoculars and small telescope. Space was what I was reading about in the newspapers at the time. The space theme also fit well into my nightly "moon watch" of satellites at a tiny observatory in Davis, CA. My profession was in education as a schoolteacher and principal, camp counselor, and director of children's programs in the early days of TV. I have always been interested in children. My first topical frame was titled "Children's Games." Then I put together a frame on children's toys. Eventually I assembled a frame depicting children's drawings. It was difficult to find dealers who could furnish me with the stamps I was looking for, as well as the background material I needed. But it was rewarding to discover the universality of children's interests and the joy they express through their play and artwork. Researching and collecting these topicals has been a wonderful hobby during my retirement years. I collect a number of topical subjects including Christmas, lighthouses, bears, owls, balloons, and aircraft. I experienced a most exciting discovery while in England in 1998. 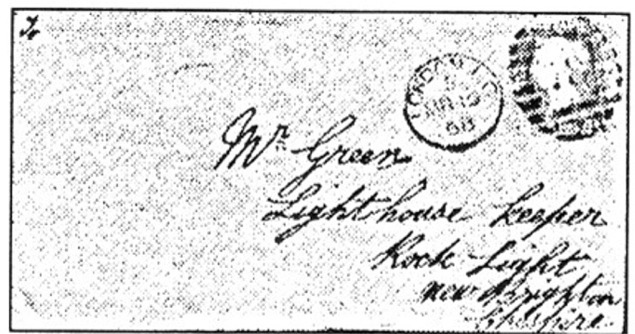 At a local stamp shop, my husband and one of his friends found for me a March 10, 1868, cover from a London solicitor to Mr. Green, the keeper of the Bell Rock Light, in New Brighton, Cheshire, England. 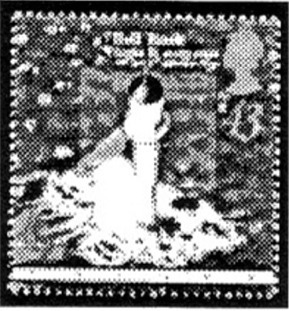 The cover bears the Great Britain 1-penny, red-rose Queen Victoria stamp (Scott 33). Also found was a postcard of the Bell Rock Light dated September 18, 1910. It's of interest to note that in 1998, Great Britain issued a set of five lighthouse stamps and a set of five lighthouse postal cards. Both sets include the Bell Rock Light. I've been able to acquire all items related to this lighthouse. After my retirement in 1984 l began volunteering at the Milwaukee Public Museum helping my daughter who was curator of the butterfly and moth collections. I helped mount specimens, integrate them into the collections, and went on butterfly collecting field trips in Wisconsin, Costa Rica and Brazil.